As you probably know, IMFSE is organized by three universities. As a new student, you can start from Edinburgh or Ghent. My choice was to start from Ghent. I went to Ghent on the 10th of September, even though the welcome week started from the 14th of September. I think it was a good way to explore the city by myself a few days before all the hassle started. 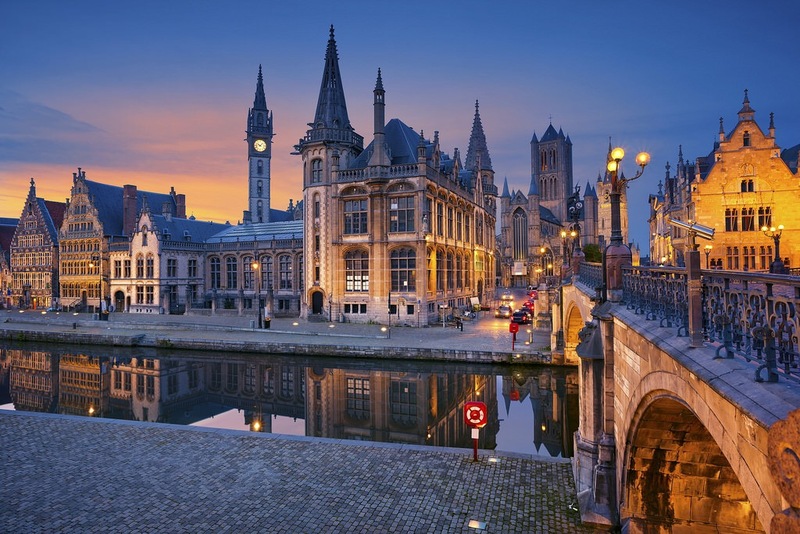 When talking about the city, people may not know anything about Ghent. I feel like I found an amazing city, which has a lot of history and wonderful architecture. The city is really alive, full of students and full of the best beers in the whole world. I will not forget about my first semester and for sure will I ever forget about Ghent. I didn’t know any of my new classmates when arriving to Ghent and most of them were not in the city yet during my first days. The first people I met were second year students who helped me to find the IMFSE office, which is not easy at all. The good point is that in the office I met Lies and Elise, who are really nice persons. After all, they put up with all of us and with our questions. After a few days we had a video conference with our classmates who were in Edinburgh and the master was presented to us. From there on the university routine started, with all the courses and all the worries and happy days. But the courses were really interesting and we had the possibility of meeting interesting and nice people, from our teachers to all the people in the Fire Corridor at the University of Gent and of course all the other students as well. Even if it has been a tough period, we made it and now we are here in Lund.